One of the things I love most about teaching is that every year is different. A new set of students, a new set of personalities, a new set of strengths and challenges. While some years are less challenging than others, I'm always looking for ways to best support the group of students that I'm working with. This year, I have some BIG personalities. And with big personalities comes big emotions. 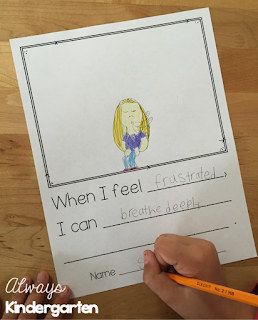 A few of my students have challenges self-regulating and focusing throughout the day. 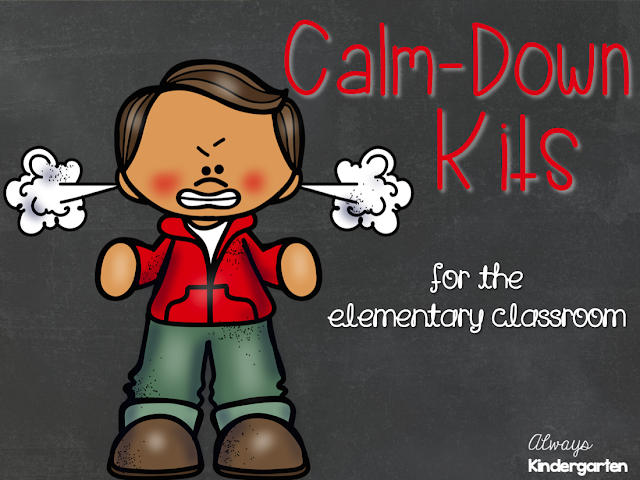 So this year, I put together a calm down tool kit to support students and help them to be successful throughout the day. What is a Calm-Down Tool Kit? 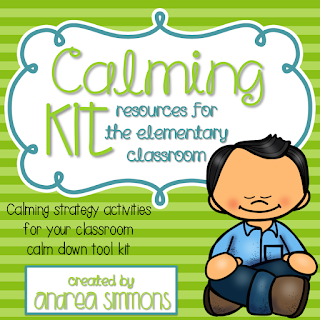 A calm down tool kit can be introduced to a child to use who may be stressed or need a break. 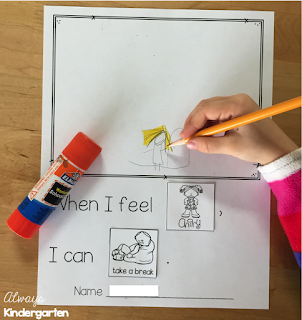 This provides children with a space and an appropriate activity to regain control and focus in order to return to classroom activities. What's in MY Tool Kit? Many of these items are available at the Dollar Store or the Dollar Spot at Target. 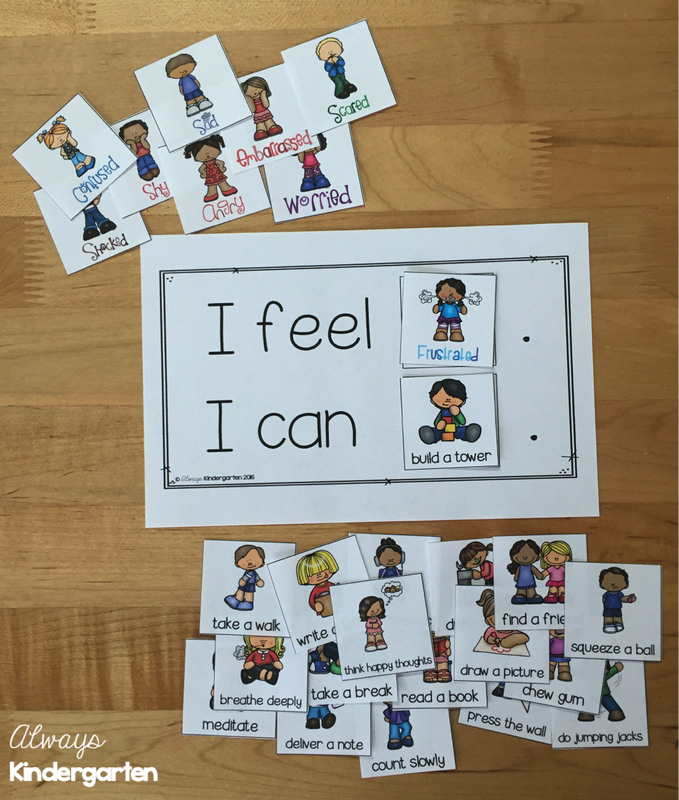 I think it's important to support students as they work through their feelings and to foster positive social emotional skills. 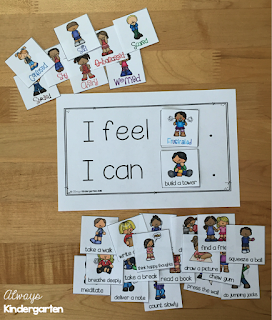 I have a space set aside in my classroom for students to do just that. We call it our "Peace Table." This is where I keep the Keep Calm Kit as well as some additional materials. 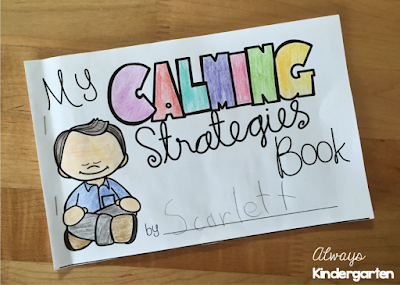 I like to introduce our Calming Strategies using this mini book. These calming strategy planning cards assist students with expressing how they feel as well as how they will calm down and refocus. We also create a class book with feelings and strategies to help with self-regulation. I have two different options depending on the skills of my class. or by clicking on the picture below. 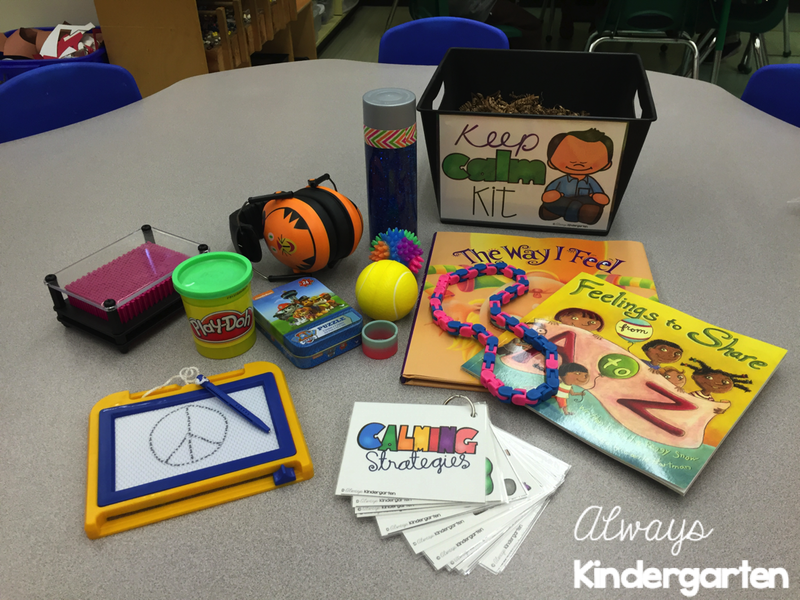 Do you have a Calm Down Tool Kit in your classroom?